A joint proposal from a team of institutions including Arizona State University, has been selected for NASA’s Stratospheric Observatory for Infrared Astronomy (SOFIA) science instrument selection phase, or “Phase A.” The proposal from the Jet Propulsion Laboratory, Pasadena, California, ASU, and the University of Cologne (Germany), is one of two to reach the semi-final stage in the selection process. The JPL-ASU proposal, submitted by Principal Investigator Paul Goldsmith, from the Jet Propulsion Laboratory and Co-Investigator Chris Groppi, associate professor with ASU’s School of Earth and Space Exploration, is to develop a third generation instrument for NASA’s SOFIA, the largest airborne observatory in the world. Their proposed instrument, the SOFIA Heterodyne Array for Spectroscopic Terahertz Astronomy (SHASTA), is designed to measure spectra of gas clouds within star-forming regions in the Milky Way and nearby galaxies. "SHASTA will image a far infrared spectral line of ionized carbon atoms, the brightest spectral line in the Milky Way Galaxy, with unprecedented sky area, sensitivity, and spatial resolution,” said Groppi. “This will help us solve the mystery of how molecular clouds, the nurseries that form new stars and planets, are formed themselves." The competing instrument proposal was submitted by a team from NASA’s Goddard Space Flight Center led by Harvey Moseley. Their High Resolution Mid-InfrarEd Spectrometer (HIRMES) is designed for high-resolution spectroscopy of protoplanetary disks at wavelengths between 28 and 112 microns. Over the course of the next few months, the two proposal teams will produce detailed concept studies. Based on those studies, NASA will select one of the instruments to begin development by Fall 2016, with a targeted completion date in 2018. Both proposed instruments are intended to expand the SOFIA airborne observatory’s spectroscopic capabilities. Abstracts for both instruments can be read here. 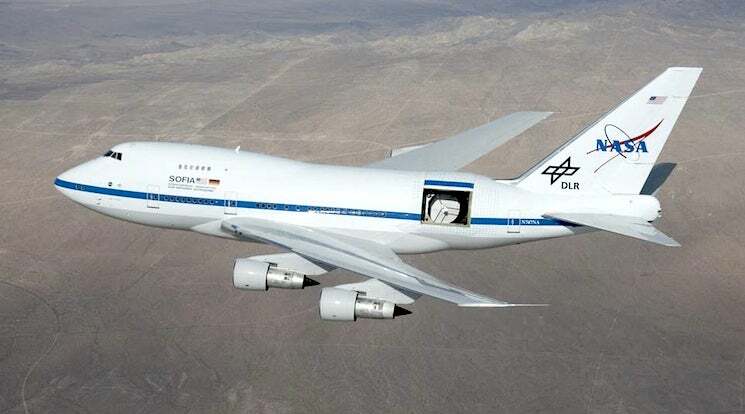 SOFIA is a partnership of NASA and the German Aerospace Center (DLR), consisting of an extensively modified Boeing 747SP aircraft carrying a reflecting telescope with an effective diameter of 100 inches. For more information about SOFIA, visit: http://www.nasa.gov/sofia or http://www.dlr.de/en/sofia. For information about SOFIA's science mission and scientific instruments, visit: http://www.sofia.usra.edu or http://www.dsi.uni-stuttgart.de/index.en.html.